Perhaps the most famous nurse of the First World War was Edith Cavell. 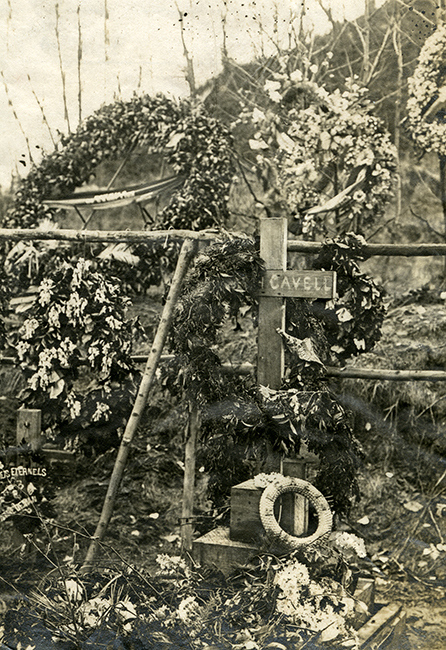 Originally from Swardeston, Norfolk, Edith Cavell trained as a nurse at the London Hospital. She worked at hospitals in Shoreditch, Kings Cross and Manchester before in 1907 she was recruited to work at the Berkendael Medical Institute in Brussels. It was the first of its kind in the country with the aim of producing world-class nurses. 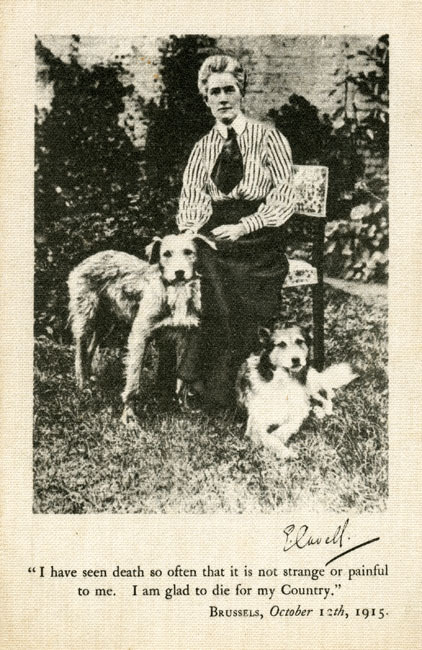 Cavell’s pioneering work as Matron at the Berkendael Medical Institute led to her being considered the founder of modern medical nursing education in Belgium. She was visiting her mother when the First World War broke out and returned to Belgium to help. 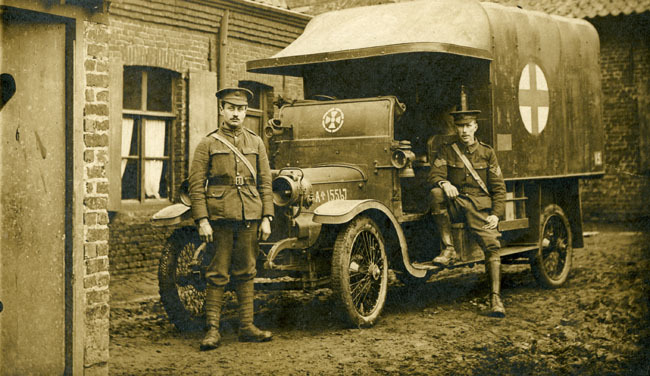 After Brussels was occupied by the German forces in August 1914, the Berkendael Medical Institute became a Red Cross Hospital treating soldiers from both sides. In September 1914, Cavell was asked to help two British Soldiers trapped behind enemy lines after the Battle of Mons. She treated the men at her hospital and then arranged their escape. She would go on to use her resources to shelter hundreds of British, French and Belgian soldiers and help them escape to the Netherlands. On 5th August Edith Cavell was betrayed by a collaborator and taken to St Giles Prison in Brussel. She was charged with treason and found guilty. Edith Cavell’s execution, though legal caused outrage in Britain and its allies. She became a symbol of the Allied cause. After the war her body was exhumed and a memorial service held in Westminster Abbey. She was then reburied in Norwich Cathedral. 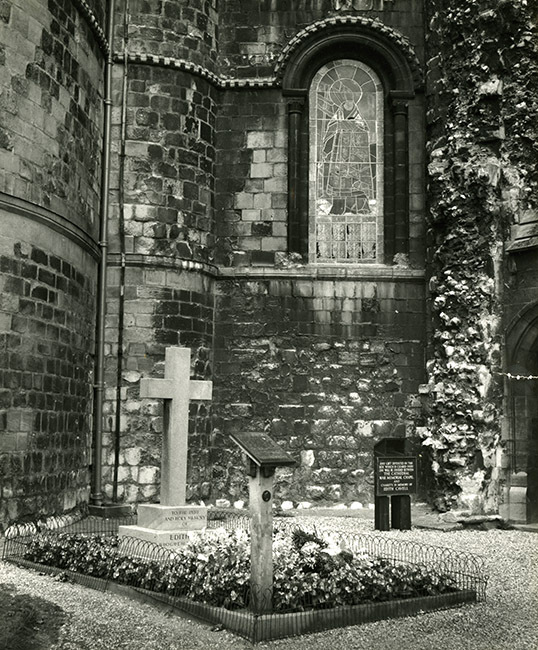 This image forms part of the Norfolk Heritage Centre’s photographic collections. This entry was posted in Art Exhibition, Arts projects, research project and tagged Edith Cavell, King's Lynn, nurses, Scars of War, We Will Remember Them. Bookmark the permalink.